Kent is another of England’s Home Counties, meaning that it sits just on the outskirts of London. This obviously means that it has a wealth of attractions on its door step, resulting in many minibus hire companies vying for custom. 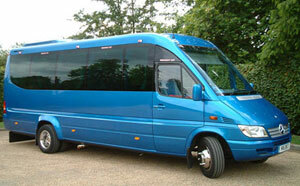 Day Trips – Practically every minibus hire company in Kent will cater for the day trips market. This could be with or without a chauffeur, although most people prefer to take the vehicle on their own so they can be more flexible. Airport Transfers – With so many airports being located around Kent, every company in the area is able to offer an airport transfer service, although the vast demand for this means that prices have not been driven down significantly. Having been established since 1992, Nova Bussing have vast experience of the minibus hire market in Kent and should definitely be considered. The company claim that their fleet of vehicles is constantly updated, while drivers are always undertaking advanced driving courses to improve their level of service. The company provide services throughout the county of Kent and customers can obtain a quote through the simple online quote form. The Kings Ferry are seen as one of the more prestigious minibus hire firms in Kent, with the company boasting several high profile clients such as the BBC and See Tickets. The company have a vast range of coaches ranging from twenty nine seat vehicles all the way to coaches with a capacity of seventy three. What’s more, the firm do not just specialise in the minibus hire industry, but they also have commitments in other fields with users able to hire other vehicles such as cars, trailers and even helicopters! The company can also cater extensively for disabled customers, with their services being tailored to every individual. Britannia Coaches are a company that actually specialise in many areas in the South of England, although it’s thought that Kent is one of their most lucrative. The company were established in 1990 and boast that they are open 24 hours a day, 365 days a year. While many firms tend to concentrate on the large coaches that carry the big profit margins, Britannia’s main business model is on the small minibus market and the company offer a range of options for their customers. There are two capacities available, with some vehicles being able to hold twelve people while others are sixteen seaters. However, the variation does not stop there, with some being classed as luxury, others executive and further ones being wheelchair friendly.